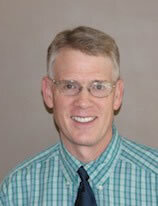 Lev has recently retired after a 30 year career as an ENT physician in Birmingham. He has been married to Vicki since 1986. They have 3 grown children and 4 grandchildren. He and Vicki attend Christ Fellowship church where he serves as an Elder. They feel Doulos Partners fits well with their desire to leverage their time, talents and resources to make disciples around the world.